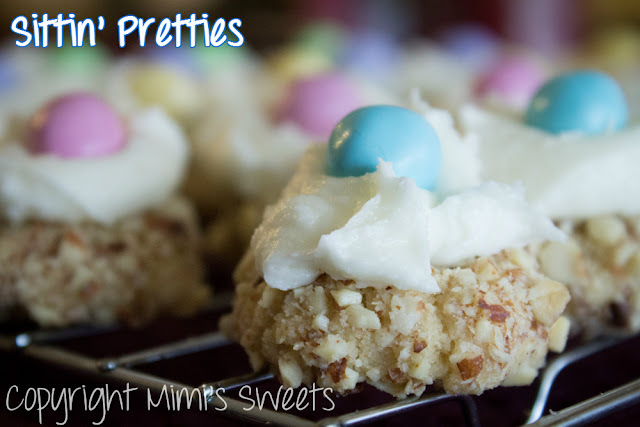 Home / almonds / butter cookie / Cookies / cream cheese icing / Easter cookies / M and Ms / Peanut Butter Chocolate Chip Cookies / peanuts / Reese's / Reese's Peanut Butter Cup Chocolate Chip Cookies / Sitting Pretties / Happy Easter: Sitting Pretties! 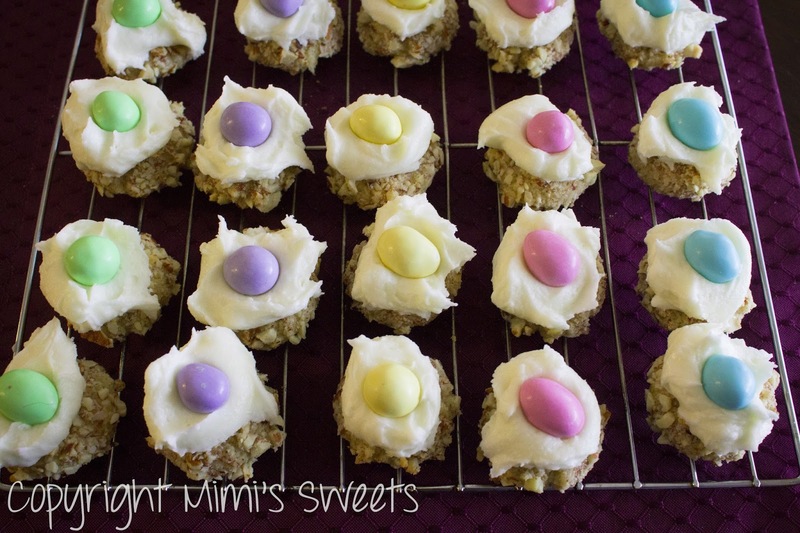 My absolute favorite cookies-- Easter-style! 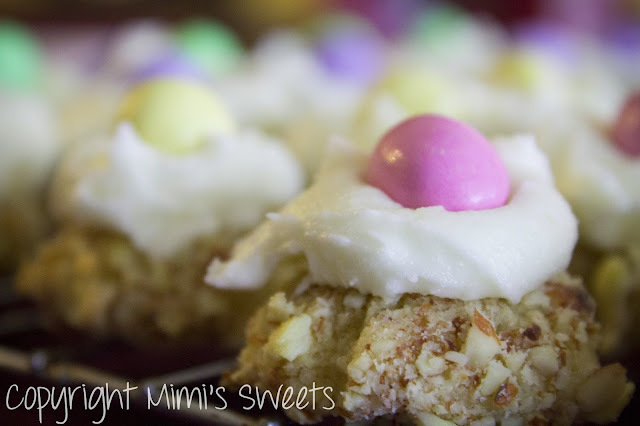 Delightfully clean tasting butter cookies rolled in crushed almonds with a dollop of cream cheese icing and topped with Easter themed peanut M+Ms! If you've never had these fantastic cookies, you really should order a batch and try them! I promise that you won't be disappointed. This batch was ordered by an old friend from my hometown for her mother in Ohio as a nice Easter treat. What I like best about these cookies-- well, besides the taste-- is that they're a fantastic small snack. You can eat them in two bites tops and they are so very satisfying! Order a batch of these amazing cookies today! You can do so HERE. They can be delivered by mail anywhere in the USA!